The state acquired Boreas Ponds in 2016. Photo by Phil Brown. The Adirondack Park Agency meets this week, and the most interesting thing about the agenda is what’s not on it: the classification of Boreas Ponds. It’s been a year since the agency held public hearings on Boreas Ponds and nine months since the APA board discussed the classification. We’re still waiting for a decision. Observers believe one reason for the long delay is that after the APA hearings, the governor’s office floated the idea of putting up semi-permanent lodging facilities—perhaps tents or yurts—along a former logging road within a mile of Boreas Ponds. The facilities would be part of an Adirondack hut-to-hut network that is in the works. Woodworth said he now understands that the Boreas Ponds huts proposal is off the table, for both legal and practical reasons. The hut-to-hut route, intended to connect North Hudson and Newcomb, would have to cross private land, and Woodworth said the owners were reluctant to grant permission. 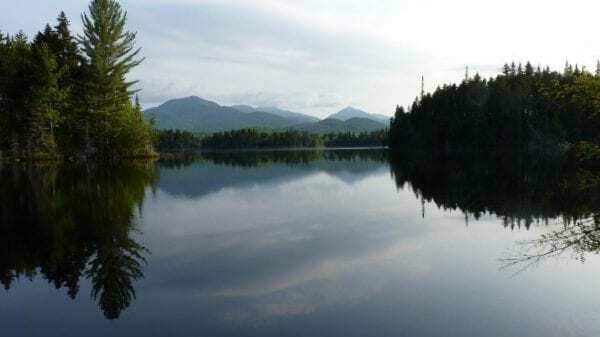 John Sheehan, a spokesman for the Adirondack Council, said DEC’s statements at a recent Forest Preserve Advisory Committee meeting suggested that the department had dropped the idea. However, Peter Bauer of Protect the Adirondacks and David Gibson of Adirondack Wild said they believe the idea is not dead. Like Woodworth, they contend that putting such facilities on the Forest Preserve would violate the master plan and the state constitution. This suggests that the classification decision will not contemplate huts at Boreas Ponds, but the idea may be considered when DEC drafts a management plan for the tract. The rub is that it may be hard to separate the classification decision from a decision on huts. For instance, there was talk of designating the road near Boreas Pond an Intensive Use Area. This is the same classification used for state campgrounds in the Adirondacks. The idea is that it could be applied to lodging facilities at Boreas. If the APA were to classify the road as Wilderness, say, it would be much harder to justify these facilities. 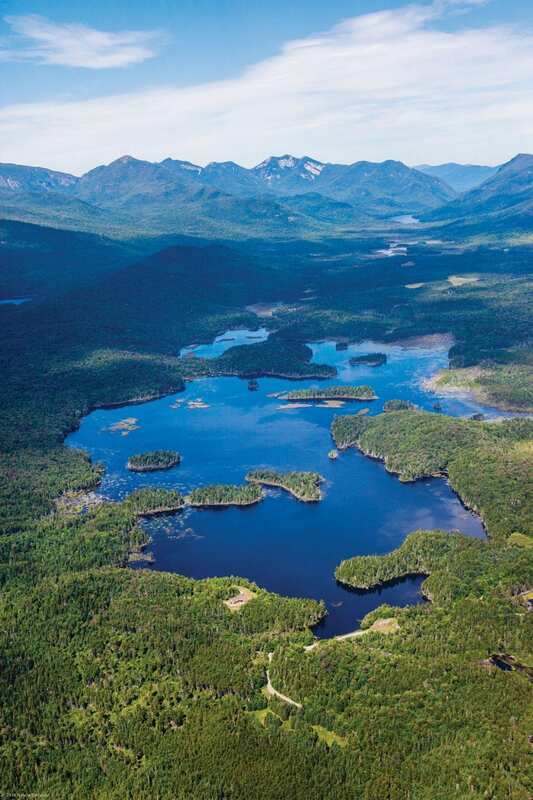 Last year, the APA came out with four options for classifying the 21,000-acre Boreas Ponds Tract, the largest of former Finch, Pruyn parcels acquired by the state. The least-restrictive option, favored by local towns, would classify the area around the ponds as Wild Forest, a designation that would allow mountain biking, snowmobiling, and perhaps motorboats on the ponds themselves. Under the other three options the area around the ponds would be classified Wilderness, which would preclude mountain bikes and motorized uses. The ponds are reached via a seven-mile dirt road. Much of the debate has focused on how much, if any, of the road should be open to motor vehicles and/or bicycles. DEC has established an interim parking area 3.2 miles up the road. However, the entire road is closed during winter and mud season. After this week, the APA’s next meeting will be December 14. After that, the agency’s board will not meet again until February. “They’re scrambling to try to put something together for December,” Bauer said. A lean-to is more “forever wild” than a yurt? Basically a platform tent. I am all for wilderness designation , but being now 64 , am unable to navigate a 7.6 mile round trip to the pond area . Even when I was pretty fit ,5 miles has been my max for a long time ,so it seems like access would only be for the fittest among us with the current locked gate at 3.2 miles . We drove up there for the first time on our vacation this year in Sept, and even though it was a weekend there was no-one else there in the huge parking lot . The access road is a long , ( steep in places ) rutted dirt road , so I am thinking that even if you can drive the 7 miles ,there will still not be a lot of people wanting to make the trip , so why not be able to drive all the way ? Go to the high peaks access parking lot at Tawaus on the other hand and it will be packed . I think bicycle access should be allowed on the existing road ,but NOT motor boats or snowmobiles . A huge part of the wilderness experience is the silence !!! Your response is contradictory. There are already 6,970 miles of public road to access all regions of the Adirondack Park. By advocating for a road to Boreas Ponds, not only would you motorize one of the last remaining vestiges of wildness in the Park, you would also be removing that silent, Wildeness experience that you proclaim that you desire. How much more Adirondack back country are we willing to sacrifice for more, ordinary front country that is found all over the state of New York? Yes , as I was writing it, I realized that it was contradictory –wanting the wilderness silence experience ,but wanting to drive to it also –LOL . You are right –we should not sacrifice any more . Dear Christine. As you can see, the environmentalists do not care about your inability to access the land that your taxes went to purchase. The common response is “go somewhere else” The hypocrisy is that these same people who don’t deem you worthy to visit the site will go themselves. I, too am all for a wilderness designation. But though I am 71, I have walked and skied the ten-mile round trip to Santanoni along with dozens of other geezers like me. I wouldn’t really mind a somewhat shorter walk to get to Boreas Ponds, but I would strenuously object to a plan that would allow one to drive all the way in. With cars come noise, litter and pollution. The absolute minimum walk in should be half a mile. And I feel that the current ban on bicycles in Wilderness areas is right. Leave nature alone. There is a reason there is a law in the books to do so. I don’t believe it is nature’s plan that all areas are meant to be accessible, this area is home to many other species of life and we should respect that. Just called Governor Cuomo to express my support for a Wild Forest classification for the Boreas Ponds Tract.